GASP XV appeared today on ArXiv! Check Bellhouse et al. 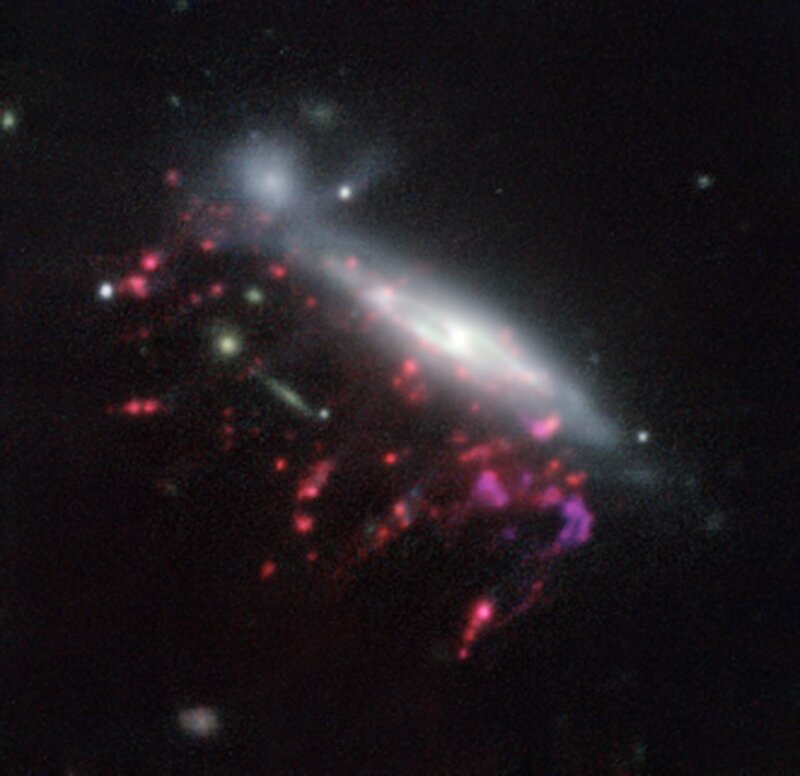 2019 to learn about the properties of one of most peculiar galaxies in GASP! GASP XIII appeared today on ArXiv! 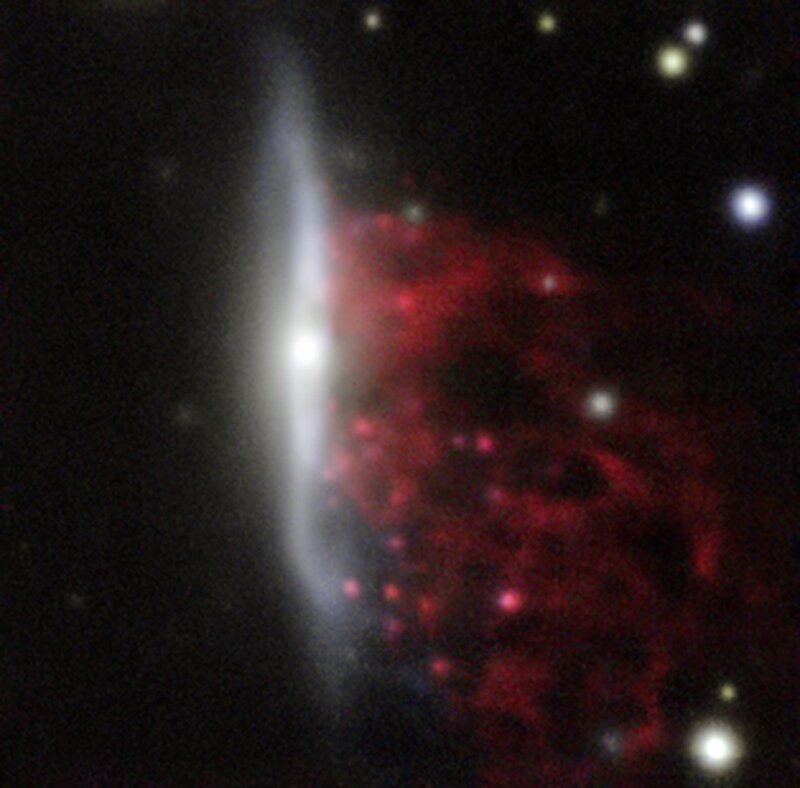 GASP (GAs Stripping Phenomena in galaxies with MUSE) is an ESO Large Program carried out with the MUSE Integral Field spectrograph on the VLT to observe 100 stripping candidates at z=0.04-0.07 located in different environments (from the field to clusters). This program started in October 2015 and has been allocated 120 hours of MUSE over four semesters. 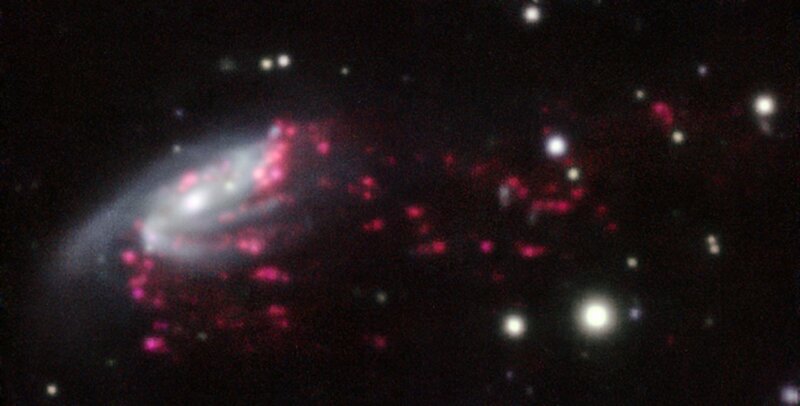 GASP targets are galaxies over a wide range of galaxy masses, degrees of morphological asymmetry and environments. The aim of this program is to clarify how, where and why the gas removal occurs, measure its timescale and efficiency as a function of galaxy mass and environment, and quantify the amount of star formation involved in this process. Existing auxiliary data and planned campaigns (e.g. APEX CO1-0, VLA, ALMA, Astrosat) allow to characterize all the phases of the gas and stellar populations. The GASP sample is selected from the sample of stripping candidates by Poggianti et al. (2016), the survey strategy, and science drivers, are described in the GASP survey paper Poggianti et al. (2017).